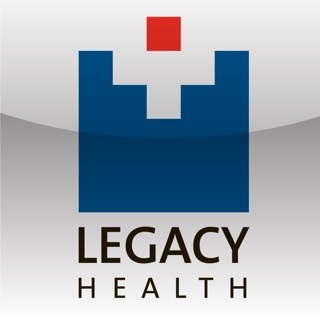 Use the Legacy Health app to quickly find a Legacy location, find a Legacy medical providers, log in to your MyHealth account (your personalized health record) and store important “In Case of Emergency” (ICE) information for first responders. Discover how you can take control of your health with this free app. •Locations: Find a Legacy Health hospital, clinic, outpatient imaging, pediatric, physical therapy or urgent care location. •Find a provider: Look up doctors by name or specialty. Sharing function allows you to send location and provider information to friends and family by text and email. •MyHealth: A secure login gives you access to lab results, appointment information, current medications, immunization history and more, for you and your family, on your mobile device. *You must first create an account through your health care provider in order to access your information. You will also need proxy access to view your family’s health information. •Symptom Checker: Search by alphabetical index or body part to check your or your child’s symptoms for care advice – at home, when to call a Dr. and more. •In Case of Emergency (ICE): Create locked-screen wallpaper for your phone that displays critical medical and ICE contact information for first responders to use in an emergency. This feature takes seconds to set up and could save your life. •MyCards: Helps keep track of your and your family’s health insurance information, including co-pays and a photo of insurance cards. Map pins now more accurately being placed. Users need a separate app to see medical records. The minimal information here doesn’t require a separate app. Finding a doctor is easy and I really like the emergency contact info.